Marijuana has been proved to be effective in the treatment of a broad spectrum of diseases. Through the years, extensive research on marijuana has revealed that it is effective in the treatment of sicknesses that people spend lots of money trying to cure with orthodox methods. In present day, physicians prescribe medical cannabis as a sedative, analgesic, anxiolytic, and appetizer. An interesting discovery also reveals that chemical compounds in cannabis also have chemical properties that regulate blood sugar level. 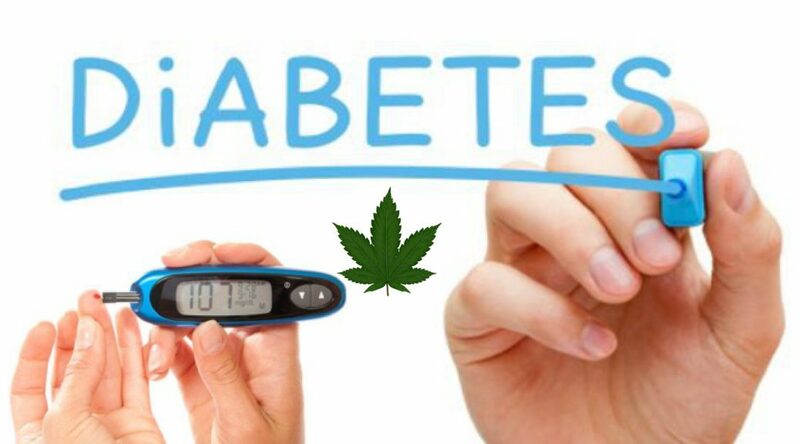 So, does cannabis treat diabetes? Findings from studies suggest that it does. Diabetes is a disease which occurs when there is excess sugar or glucose in the body due to lack of insulin in the body, or the body’s inability to utilize insulin. There are two types of diabetes namely: type 1 diabetes and type 2 diabetes. People living with type 1 diabetes have dysfunctional pancreas and their bodies don’t make insulin. Type 2 diabetes is more common. In this case, either the body doesn’t make enough insulin or it doesn’t use insulin well. Insulin is a hormone that helps break glucose down and get into your cells to provide them with energy. The world has seen new scientific discoveries as regards the healing powers of medical cannabis. One of the diseases which medical marijuana treats is Diabetes. Marijuana compounds (cannabinoids) are proven to be responsible for the health benefits linked with the herb. These compounds interact with receptors of the human central nervous system to alter mood, pain, coordination and appetite. Extensive research also highlights a few health benefits of marijuana for those suffering from diabetes. In a 2015 study carried out my Israeli scientists at the Hebrew University of Jerusalem, it was discovered that CBD could treat a wide range of sicknesses such as atherosclerosis, cardiovascular malfunctions and diabetes. CBD has beenproven to tackle chronic inflammation, a condition that impedes the production of insulin in the body. CBD is not the onlycannabis compound that has been discovered to treat diabetes symptoms. In 2015, a study was carried out on non-insulin treated type 2 diabetes patients. They were tested with THC treatments and results indicated that blood glucose was drastically reduced. The treatment enhanced insulin production and also increased adiponectin levels. Adiponectin is the protein that regulates blood sugar. Marijuana is a neuroprotective drug. Much of neuropathy derives from blood glycoproteins that deposit in peripheral tissues. This causes inflammation of nerves which in turn stimulates an immune response. The use of medicinal cannabis protect the myelin sheath (nerve covering) from inflammatory attack. Cannabinoids activate receptors in the body ands brain, reducing the painassociated with neuropathy. CBD also act as an anti-spasmodic agent with side effects much lesser than anti-convulsantssuch as Neurontin. This suggests that cannabis alleviates muscle cramps caused by diabetes. Cannabis compounds inhibit prostaglandins and COX-2. These compounds possess highly potent anti-oxidant properties help eliminate free radicals and inhibit TNF and macrophage. Its anti-inflammatory properties are very effective in reducing arterial inflammation which is one of the common symptoms diabetics have. Cannabis also act as a vasolidator. This means that it helps relax blood muscles, opening them to increase circulation. Consistent use of medical cannabis reduce blood pressure. Although research is still ongoing to determine its anti-hypertensive properties, it contributes significantly to the lowering of blood pressure—a process which is vital in the management of diabetes. Having a lower blood pressure helps reduce the risk of complications that may arise from having diabetes. As we know, smoking medical cannabis is not the only method used in ingesting its compounds. There is a wide range of cannabis edibles that provide significant levels of cannabinoids that is sufficient for treating diabetes symptoms. Cannabis-infused butter and CBD oil supplements which replace triple bonded fatty acids contained in cooking products. Opting for cannabis substitutes generally promotes arterial and cardiac health. Diabetics are also known to have restless leg syndrome (RLS). This condition can make night time particularly difficult for people living with the condition. In this situation, ingesting cannabis smoke or vapor can aid diabetics in finding sleep. Cannabis confections are also a great option in alleviating this condition, as long as portion control is exercised.